“suddenly I understood what people meant by the body, the legs, structure of wine”. From that moment on whenever and wherever she had a moment of awareness as she did with that sip of the wine she pens them down. Taking a sip of Tig wine several years ago, Markle had one of those blessed moments of understanding and awareness. I know a lot of us didn’t know that Meghan Markle, now Duchess of Sussex and the wife of Prince Harry once owned a lifestyle blog called The Tig (” Tig ” refers to an American mispronunciation of Tignanello wine). I created a website with wordpress in 2015, but I didn’t know much about blogging, all I know was that I visited a blog that inspired me and I wanted to do something similar.. This blog was the Tig. Markle certainly lived up to the ” inspired lifestyle ” she described in her mission statement of sorts. Through covering lifestyle aspects like travel, food and living, as well as beauty and fashion. The first time I clicked on the beauty tab, thinking I was going to see stuffs about makeup, hair, skincare… You name it. Instead, I was greeted with posts on mental wellness and a lot about self-love. My expectations as to what can fall into beauty were mistaken. She gave insights on the importance of inner beauty as opposed to just the physical. As a philanthropist and a solo traveller, Markle’s pure enthusiasm in her travel section fully encapsulates that feeling and the importance of ” living in the moment ” in situations where you’d otherwise ignore the little things. One would think she met Prince Harry in one of those travels. Through the Tig, Markle wanted to bring awareness to mental wellness and a strong relationship between body and mind. Being present, aware and having a sense of mindfulness regarding your surroundings does not come easy but when it does, a whole new level of experience floods the senses, and a new appreciation of the smallest things become apparent and being aware of these little things can actually bring so much joy into an otherwise mundane day, and Markle captured this sensation perfectly. Markle will be missed in the blogging world, because in April 2017, she bid farewell to her lifestyle blog and to her readers, in a move considered at the time as a sign of her increasing commitment to Royal life. But all hope is not lost for those wondering how to find the old posts of Meghan Markle’s The Tig as it’s no longer published online. It turns out the archiving website the WAYBACK MACHINE has retained caches of various pages of the blog. The Tig moments are all about; discovering that the smallest things in life can often produce immense joy and Happiness. 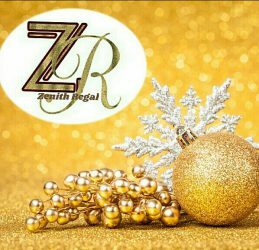 Mean while enjoy the Zenith Regal moments as well. I love her focus on the inner things when she blogged about beauty… Truly, the world sometimes make us forget the real meaning of beauty. Previous PostPrevious DIY 2 Trends in 1 Ankara fashion – Street Style Slay. Next PostNext Does the universe fight for souls to be together?